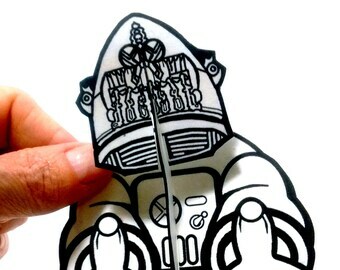 This is a self-standing Cool Kid paper figure unlike any paper doll you've seen. It's sturdy and 3D. You can print, color, and assemble your first one in about fifteen minutes. No special material or skill is needed. Buy once, and make many. Seriously addictive low-cost, low-tech entertainment. GET IT NOW! Immediate gratification! Your digital download will include the assembly instructions, a sheet of tips and play ideas, plus the pattern. All the files are PDFs. MAKE A FRIEND IN <15 MINUTES! The instructions are dead simple. All you do is print, color, cut and assemble. Once you have made one, making more is super easy. Reprint and make an army, or a family. LARGE OR SMALL! The pattern is totally scalable and complete, so you will have everything on one sheet, whether is a4, 8.5x11, or 5x7. Mix up the sizes to make a crowd. MIX AND MATCH! One of the great things about this evolved paper doll design is that the head, body and legs are all separate pieces. So you can totally mix and match body parts. . Now you can live out your dream of being an evil-genius/mad-scientist in a secret underground laboratory. You can embellish the pattern, and create some monster kids with antlers, wings, or tentacles. FUN FOR ALL AGES! Kids love the creative possibilities. Adults appreciate the straight-forward instructions, that include "Pro-Tips" for improving your papercraft. A sheet of play ideas makes this an ideal activity for art teachers and rainy days. These paper dolls take up very little space. Keep an envelope of cut out body parts in your bag. Break them out at restaurants for the kids to play with while they are waiting for food to be served. POPULAR DESIGN! 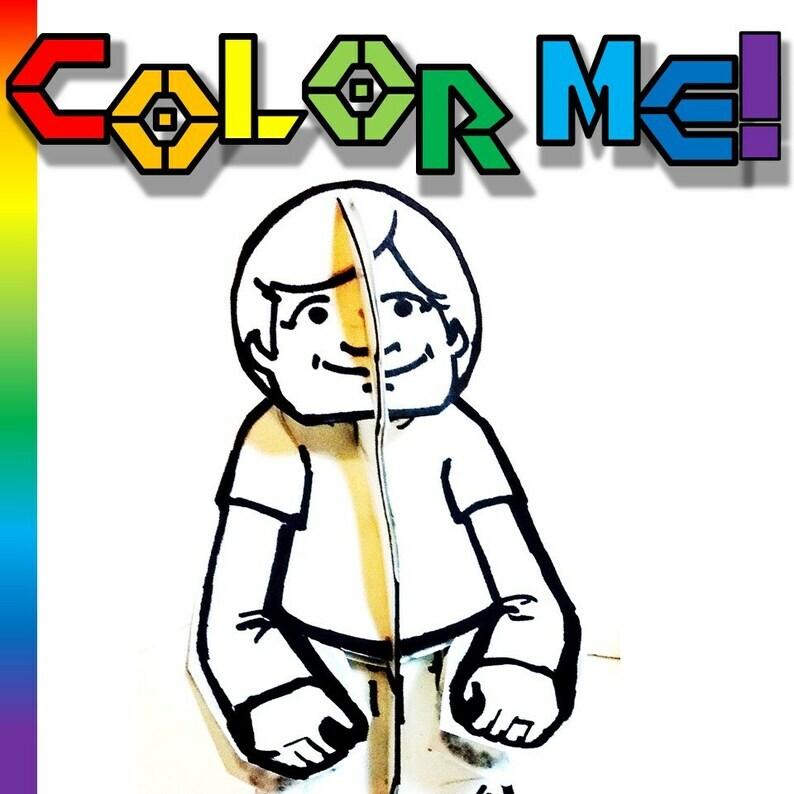 In 2012, I developed a new approach to paper dolls, called Paper People. It was a immediate sensation and adopted by hundreds of art teachers and home schoolers world wide. Like those original toys, all my PaperTown Toys are easy to make, and easy to customize. PaperTown Toys are a charming, low tech way to amuse yourself during your next natural disaster, power outage or zombie apocalypse. They may also work to keep small children quietly entertained during family visits this holiday season. PaperTown Toys are easy to make and customize. You can quickly put together a complete family or army. You can your child can make monsters and fight them in the arena of your coffee table. Or you can create a race of enlightened alien cats or robot cats and build a new utopia. You can make characters to star in your next video production. Click the BUY button and start playing! Perfect little Christmas gift for a robot-lover! Wonderful fun! It was a huge hit with my elementary age robotics team! Great design, very versatile! I used for a group activity and it sparked a lot of imagination. Thanks, and I'll be back!